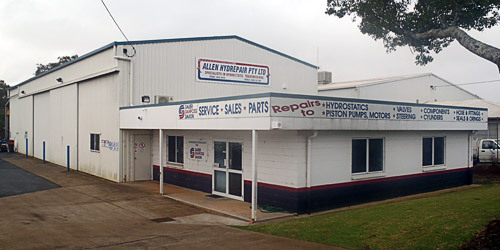 Owned and operated by Graham Allen, Hydrostatic Services Pty Ltd (a division of Allen Hydrepair) is a Toowoomba based family business that prides itself in providing an extremely high quality overhaul and repair service for hydraulic components. The repair and remanufacture of hydrostatic transmissions is our speciality. Located in Toowoomba, Hydrostatic Services are the only authorised Danfoss Power Solutions Service Centre and Distributor in regional Australia. The company was founded in 2000 as Allen Hydrepair and since this time our knowledge of these products and our meticulous attention to detail has gained us an enviable reputation as the place to have hydrostatic transmissions overhauled. With over 30 years in the hydraulic and hydrostatic industry, Graham has in depth knowledge of the intricacies of hydrostatic systems and has developed efficient and effective techniques to repair hydrostatics to the highest standard. Graham is a hands on operator and has a committed team that he personally trains to ensure that the highest quality of workmanship is maintained at all times. Located in Toowoomba's Wilsonton Industrial Estate (on the western side of the Toowoomba airport), Hydrostatic Services enjoys a modern, well equipped hydraulic workshop. State of art equipment such as 3 flat lapping machines, a spherical lapping machine, 350 hp test bench, ultrasonic cleaning and paint stripping equipment provides Hydrostatic Services with the tools and equipment to repair and remanufacture to a high standard. 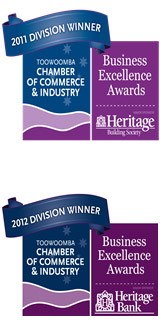 Hydrostatic Services are proud Division of Manufacturing (Micro) winners of the Toowoomba Chamber of Commerce & Industry’s 2011 & 2012 Business Excellence Awards.